Five 18k gold Flagship Heritage Limited edition watches have been designed and created in collaboration with Kate Winslet. 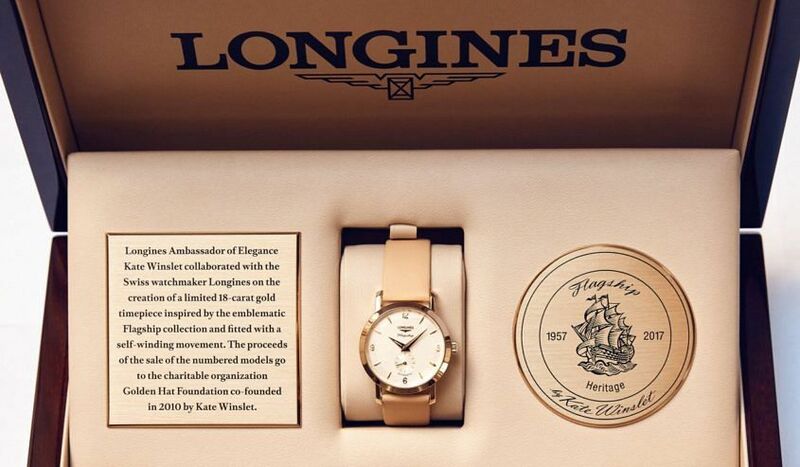 One is owned by Kate, one has been set aside for the Longines museum and three are being auctioned online right now with all proceeds going to Kate’s Golden Hat Foundation. The bidding starts at $25k. Considering that business class flights alone from Australia to Paris (if you chose to attend the Roland Garros Men’s Final with a guest) would be around that price, the opening bid is practically making money. The winning bidder of each of the three available watches will win the following. The watch (which we have to admit is absolutely gorgeous, well done Kate! ), a business class trip for two to a major sporting event (all listed in the video five star accommodation for two included on the trip). A table for five at the Sydney Queen Elizabeth Stakes and accommodation for two over the weekend (this is one of our favourite events of the year). If you choose to attend an event in Europe, you’ll even get a visit to the Longines museum in Saint-Imier. 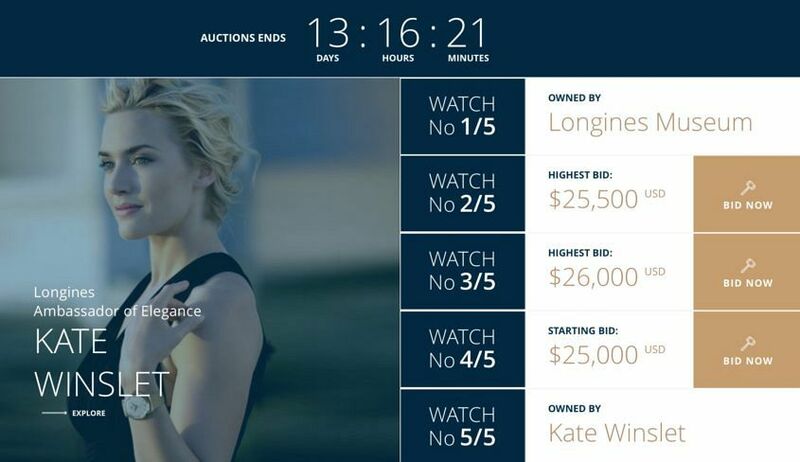 Bid for the watch here and please share with your communities if you’re at all moved by Kate’s mission. Good luck! Limited to 5 timepieces, automatic winding mechanical movement Calibre L609 (ETA 2895/2), 35mm, yellow gold 18K case with Flagship stamped caseback, sapphire crystal, brushed silver dial, Dauphine hands with SuperLuminova, camel coloured calf leather strap. Thanks to Monards at Crown in Melbourne, where we filmed parts of this video at very short notice.